Ulama (/ˈuːləˌmɑː/; Arabic: علماء‎‎ ʿUlamāʾ, singular عالِم ʿĀlim, "scholar", literally "the learned ones", also spelled ulema; feminine: alimah (singular) and uluma (plural)), is defined as the "those recognized as scholars or authorities" in the "religious hierarchy" of the Islamic religious studies. They are the guardians of legal and religious tradition in Islam. Often they are "Imams of important mosques, judges, teachers in the religious faculties of universities". The term may also include the body of Muslim Islamic scholars trained in the whole body of Islamic law and in other Islamic disciplines; but it may also be used to include the village mullahs and imams on the lowest rungs of the ladder of Islamic scholarship, inasmuch as they correspond most closely to the class of the Scribes or Rabbis in Judaism. Most ulama specialize in fiqh (Islamic jurisprudence) (these are known as fuqaha or muftis), and are considered the arbiters of sharia law by mainstream Muslims (though the closeness of some ulama to rulers may prevent them from being universally accepted). Ulama may also include specialists in other areas such as muhaddith (concerned with the study of hadith) and mufassir (concerned with tafsir of the Quran). The word ‌‍‘alīm is used twice in the Quran, but not necessarily in the same manner as its application in the Muslim community today. According to Ibrahim B. Syed, ‌‍‘alīm in the Quran refers to scientists, indicating the high importance afforded by the Quran to the physical sciences. Inayat Bunglawala has stated that contemporary ulama "have only spent years studying ancient books in Arabic in traditional Islamic seminaries" and argued that the qualifications for this title need to be redefined to include doctors, engineers, etc. The formative period of Islamic jurisprudence stretches back to the time of the early Muslim communities. In this period, jurists were more concerned with pragmatic issues of authority and teaching than with theory. Progress in theory began to develop with the coming of the early Muslim jurist Muhammad ibn Idris ash-Shafi`i (767–820), who codified the basic principles of Islamic jurisprudence in his book ar-Risālah. The book details the four roots of law (Qur'an, Sunnah, ijma, and qiyas) while specifying that the primary Islamic texts (the Qur'an and the hadith) must be understood according to objective rules of interpretation derived from scientific study of the Arabic language. According to scholar Noah Feldman, under many Muslim caliphate states and later states ruled by sultans, the Ulema were regarded as the guardians of Islamic law and prevented the Caliph from dictating legal results, with the ruler and ulama forming a sort of "separation of powers" in government. Laws were decided based on the Ijma (consensus) of the Ummah (community), which was most often represented by the legal scholars. In order to qualify as a legal scholar, it was necessary obtain a doctorate known as the ijazat attadris wa 'l-ifttd ("license to teach and issue legal opinions") from a Madrasah. In many ways, classical Islamic law functioned like a constitutional law. During the Ottoman era ulama "were perceived as the foremost element" among the constituents of the community, and often "took responsibilities in law, education, primary religious services and occasionally in bureaucracy" of the government. During the Ottoman era, the term "ulama" was commonly applied to scholars who had "completed their madrasa training and gained an icazet (graduate degree)". They had to be an expert in all the religious sciences, with one or two specializations. In addition, the student had to have been tested and approved by higher ranking ulama. Such assessment by experts gave the ulama legitimacy in the eyes of the public, because it imitated the way the Caliphs were appointed after the death of Muhammad. In 14th and 15th century Ottoman Empire, there were not many madrasahs, and so the ulama traveled to countries such as Persia and Egypt to further their education. Upon the conquering of Istanbul, the sultan converted eight churches into madrasahs and placed eight of the best ulama as the heads. The ulama in the Ottoman Empire had a significant influence over politics because it was believed that secular institutions were all subordinate to religion; the ulama were emblems of religious piety, therefore rendering them powerful over state affairs. Ulama worked as priest-like authorities who had the role of interpreting and enforcing Islamic shariah law. These jobs were distributed between two types of ulama: the Muftis, who interpreted Shariah law, and the Qadi, who enforced it. The Ottomans had a strict hierarchy of ulama, with the Sheikh ul-Islam holding the highest rank. A Sheikh ul-Islam was chosen by a royal warrant amongst the qadis of important cities. The Sheikh ul-Islam had the power to confirm new sultans, but once the sultan was affirmed, the sultan retained a higher authority than the Sheik ul-Islam. The Sheikh ul-Islam issued fatwas, which were written interpretations of the Quran that had authority over the community. The Sheikh ul-Islam represented the law of shariah and in the 16th century its importance rose which led to increased power. Sultan Murad appointed a Sufi, Yayha, as his Sheikh ul-Islam during this time, which led to violent disapproval. The objection to this appointment made obvious the amount of power the Sheikh ul-Islam had, since people were afraid he would alter the traditions and norms they were living under by issuing new fatwas. 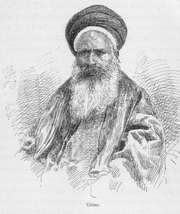 Under the Safavid state Shia ulama were "relegated" to "the dubious role of conseillers du prince", but under the Qajar dynasty the ulama provided a source of religious legitimacy and served as interpreters of religious law in a dual legal system where the state administered law based on custom (`urf). The 19th and 20th centuries were marked by a considerable loss of authority and influence of the ulama in most Islamic states. Many secular Arab governments attempted to break the influence of the ulama after their rise to power. Religious institutions were nationalized and the system of waqf "religious donations", which constituted the classical source of income for the ulama, was abolished. Indonesia, in contrast, began witnessing a revival of ulama activity which culminated in 1926 in the founding of the Nahdlatul Ulama, today one of the world's largest Muslim organizations. In 1961, Gamal Abdel Nasser put the Al-Azhar University, one of the highest Islamic intellectual authorities, under the direct control of the state. "Azharis were given military uniforms and found themselves marching in step under the orders of army officers." In Turkey, the traditional dervish tekkes and Islamic schools were dissolved and replaced by state-controlled religious schools in the 1950s and 1960s. After the independence of Algeria, President Ahmed Ben Bella also deprived the Algerian ulama of their power. Baathist repression in Iraq led to a drop of enrollment in the Shia holy cities of Iraq from 12,000 students in the early 1900s to only 600 scholars and student in 1977. Later in the 20th century the Islamic revival led to a resurgence of the power of the traditional ulama in at least some areas. The Islamic Revolution in Iran was led by a senior Shia cleric—the Ayatollah Ruhollah Khomeini—who established an Islamic Republic whose constitution calls for a cleric as the country's Supreme Ruler. The Sunni Taliban of Afghanistan were students of traditional Islamic teachers; their "commander of the faithful" was known as "Mullah" Mohammed Omar. Ulama study at Islamic religious schools, madrasahs, where they also teach students about Islam and other areas of study. (It is believed in Islam that every Muslim must acquire a well-rounded education in order to understand God’s religion in its entirety.) By the end of their education, they acquire an Ijazah, an academic degree in Islamic law and jurisprudence, a practice that dates back to the first several centuries of Islam. Ulama also hold seminars where they give lectures and speeches about the area of Islam in which they specialize. In certain Muslim countries, like Saudi Arabia and United Arab Emirates, where there are sharia courts, Islamic clergy become judges. Therefore, one of the jobs of ulama is the interpretation and maintenance of Islamic law in such places. In some countries, such as Saudi Arabia, Islamic clergy fulfill the role of a counsel for the king. There are also jobs for them in various governmental institutions. There are various jobs available for the Islamic clergy at mosques. These include: leading public prayers, preaching, and delivering sermons, especially at Friday prayers. Some have made missionary activities a lifelong activity. Sunni fuqaha or muftis usually work within a tradition (madhhab) that starts with one of five classic jurists. Some ulama are not associated with any particular school of jurisprudence. The Salafis/Ahle Hadith, for example, believe that it is necessary to derive rulings directly from the Qur'an and the Hadiths (Prophetic Sunnah), but they still hold the classical jurists in high esteem and take lessons from their opinions. Many ulama have left behind them only a lifetime of mediating disputes and giving sermons; their respectable contributions did not include authorship. Other ulama have been prolific authors, writing translations of the Quran or Quranic commentaries, studies of hadith, works of philosophy, religious admonition, etc. There are enormous bodies of religious literature that form not only the substance of the courses in Islamic seminaries, but inspirational reading for the ordinary Muslim. Most of this literature has not been translated into English, but remains in its original language (usually Arabic, Urdu, Persian, or Turkish). Some has been printed; some remains in manuscript form. A religious hierarchy on the defensive against nationalists, secularists, modernists, apologists fundamentalists and romantics, and, possibly even in the bad books of the government of the day, trained only to transmit traditional knowledge in a parrot-like fashion is not likely to use its influence with the broad masses for the promotion of a modern approach to social and political life. 1 2 Glassé, Cyril; Smith, Huston (2001). The New Encyclopedia of Islam. Rowman Altamira. p. 461. Retrieved 9 September 2015. 1 2 Böwering, Gerhard; Crone, Patricia (2013). The Princeton Encyclopedia of Islamic Political Thought. Princeton University Press. p. 547. Retrieved 9 September 2015. 1 2 Hanif̉, N. Islam and Modernity. p. 318. 1 2 3 4 Mehmet, Ipsirli (May 2004). "The Ottoman Ulema (Scholars)" (PDF). muslim heritage. Retrieved 10 September 2015. 1 2 3 4 Noah Feldman (March 16, 2008). "Why Shariah?". New York Times. Retrieved 2008-10-05. 1 2 Bunglawala, Inayat (March 2011). "Islam must engage with science, not deny it". The Guardian. 1 2 Inalcik, Halil. 1973. "Learning, the Medrese, and the Ulemas." In the Ottoman Empire: The Classical Age 1300–1600. New YOrk: Praeger, pp. 167. ↑ Inalcik, Halil. 1973. "Learning, the Medrese, and the Ulemas." In the Ottoman Empire: The Classical Age 1300–1600. New York: Praeger, pp. 171. ↑ Zilfi, Madeline C. 1986. "The Kadizadelis: Discordant Revivalism in Seventeenth Century Istanbul." Journal of Near Eastern Studies 45 (4): 259. ↑ Ghazzal, Zhouhair. Choueiri, Youssef M., ed. A Companion to the History of the Middle East. John Wiley & Sons. p. 81. Retrieved 10 September 2015. ↑ Kepel, Gilles (2002). Jihad: The Trail of Political Islam. I.B.Tauris. p. 53. Retrieved 10 September 2015. ↑ Zouhair, Ghazzal. "The Ulama: Status and Function". A Companion to the History of the Middle East. John Wiley & Sons. p. 85. Retrieved 10 September 2015. ↑ Zaman, Muhammad Qasim (2007). The Ulama in Contemporary Islam: Custodians of Change. Princeton University Press. ISBN 9780691130705. Retrieved 10 September 2015. ↑ Narrated by al-Tirmidhi (4:2167), ibn Majah (2:1303), Abu Dawood, and others with slightly different wordings. ↑ Kabbani, Hisham Muhammad. "QUESTIONS ON IJMA` (CONSENSUS), TAQLID (FOLLOWING QUALIFIED OPINION), AND IKHTILAF AL-FUQAHA' (DIFFERENCES OF THE JURISTS)". sunnah.org. Retrieved 11 September 2015. ↑ Esposito, John. "Ijtihad". The Islamic World: Past and Present. Oxford Islamic Studies Online. Retrieved April 28, 2013. Look up ulama in Wiktionary, the free dictionary. Wikisource has the text of the 1905 New International Encyclopedia article Ulema. Heyd. Uriel. "Some Aspects of The Ottoman Fetva." School of Oriental and African Studies Bulletin; 32 (1969), p. 35–56. Inalcik, Halil. 1973. "Learning, the Medrese, and the Ulema." In The Ottoman Empire: The Classical Age 1300–1600. New York: Praeger, pp. 165–178. Tasar, Murat. "The Ottoman Ulema: their understanding of knowledge and scholarly contribution." The Turks. 3: Ottomans. Editors: Hasan Celâl Güzel, C.Cem Oğuz, Osman Karatay. Ankara: Yeni Türkiye, 2002, pp. 841–850. Zilfi, Madeline C. 1986. "The Kadizadelis: Discordant Revivalism in Seventeenth Century Istanbul." Journal of Near Eastern Studies 45 (4): 251–269.